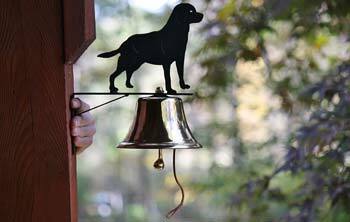 These dinner bells and farm bells are perfect for ringing in the family! Hang them from your porch for musical decoration. Gather friends and family for meals with a loud ring-a-ling. 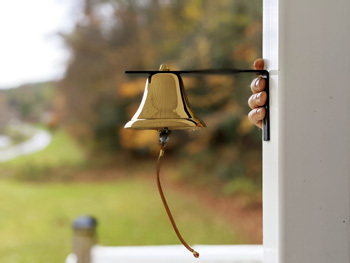 Guests can even use them as door bells to announce their presence. 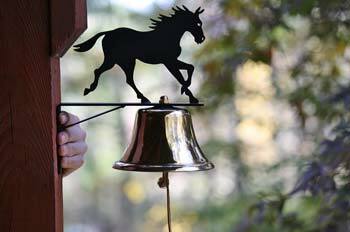 You will make noise with these quality dinner bells and farm bells! Dinner bells were rung to grab the family's attention for a hot meal! Families hard at work on farms and ranches were sprawled far across the land. 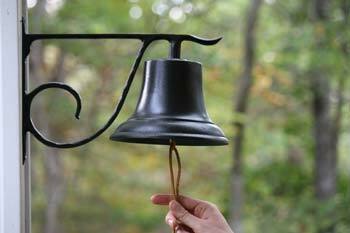 A dinner bell was a loud and distinctive bell that everyone knew meant a hot meal. If the dinner bell was a-ringin', everyone would come a-runnin'! Traditional, western shaped bells were the stationary option. 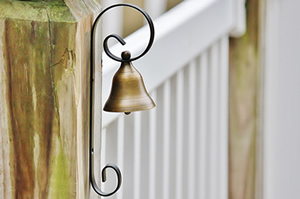 These bells were mounted on walls and posts next to the kitchen or entryway. 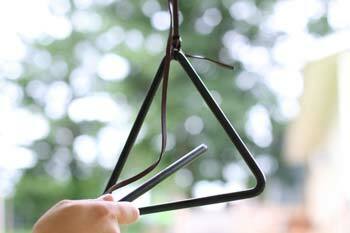 Triangle bells became popular in western culture for their practicality. They were easy to carry across the country and used for family cattle drives. Ring-a-ling-a-ling!! "Come and get it!" 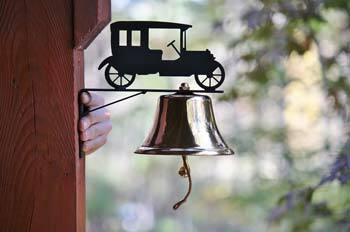 The triangle dinner bell became popular in the early 1800's. People living and working on wide stretches of land needed an effective way to call in family and employees for meals. The triangle bell became a lightweight and affordable option for frontier families. 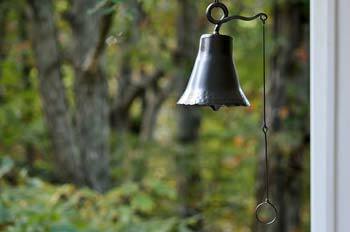 These bells were traditionally forged from iron by blacksmiths and came with a separate striker. 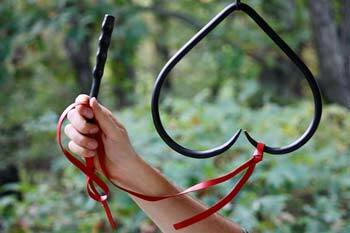 Housewive would hold them or hang them high, ringing them loudly and repeatedly to call in the family. Click here to view our triangle bell. Dr. Ivan Pavloff conducted "conditioned reflex" experiments in mice. According to issue 13 Volume 2 of Time published in 1923, white mice were trained to run to their feeding place at the sound of an electric dinner bell. 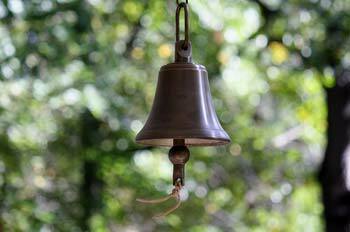 It took 300 repetitions of the feeding-ringing combination to make the mice run at the sound of the bell. The feeding-ringing combination was tried on subsequent generations of the first group. The second generation learned the feeding-ringing combination after only 100 repetitions. The third generation learned the theory after 30 lessons. The fourth generation only took 10 repetitions, and the fifth generation learned it in five. 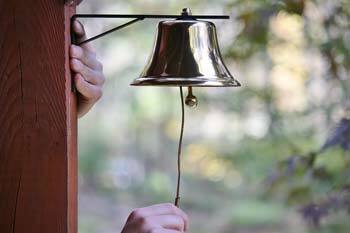 Pavloff noted that it would be very likely to find a generation that needed no training of the bell. That is, mice would run to their feeding place in only one ring of the bell!